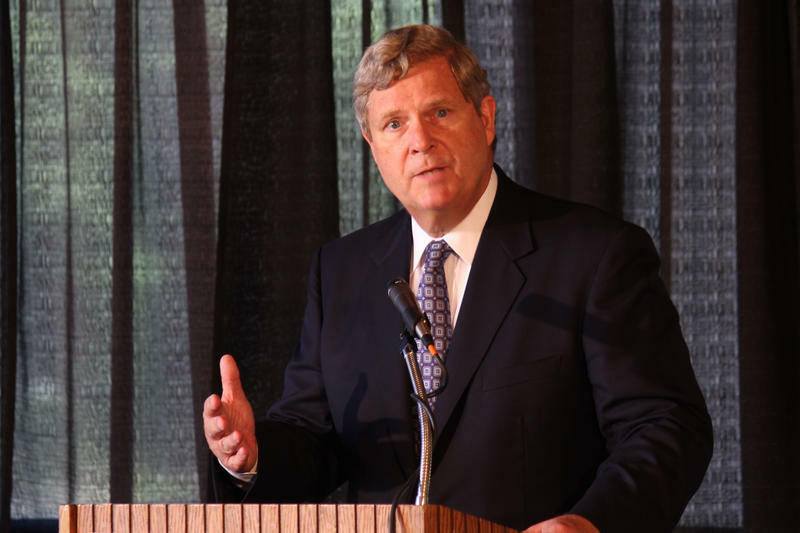 U.S. Secretary of Agriculture Tom Vilsack. The country's top agriculture official is declining to comment on some of the largest proposed mergers the farm economy has ever seen. Possible deals between Germany-based Bayer and American seed giant Monsanto, Switzerland-based Syngenta and ChemChina, a state-owned Chinese chemical company, and between American chemical companies Dow and DuPont could further consolidate an already consolidated market [.pdf]. That means farmers could face fewer choices when buying seeds or chemicals. 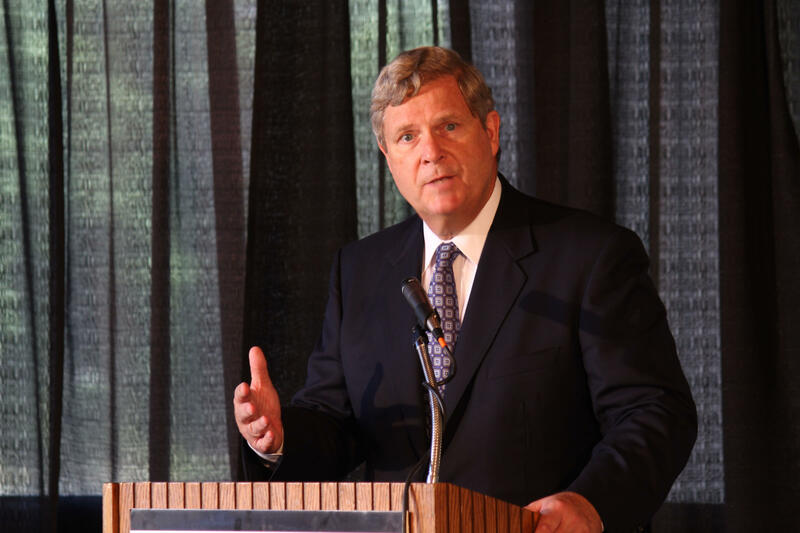 "I'm not going to respond directly to particular business transactions," said U.S. Department of Agriculture Secretary Tom Vilsack, who was in Fort Collins, Colorado Friday to talk about his department's push to help farmers adapt to climate change. "It's incumbent upon the Department of Agriculture, our research service and others, to make sure that we support diversity within agriculture, that we continue to look for ways in which we can diversify operators, size of operations, what's being produced, and maintain choice, maintain options." The USDA will have some say in at least one of those proposed deals. The agency was able to secure a seat on a federal panel set to review ChemChina's $43 billion acquisition of SyngentaAG, Reuters reported, citing anonymous sources. That panel, Committee on Foreign Investment in the United States, reviews business deals that could have implications for national security. A USDA spokeswoman would not confirm the USDA's involvement in the review of the Syngenta-ChemChina deal. City council members in Mason City this week turned down a proposed $240 million pork processing plant after approving it twice on a 6-0 vote.The proposal by North Carolina-based Prestage Farms ended in a 3-3 tie. It needed four “yes” votes to pass. 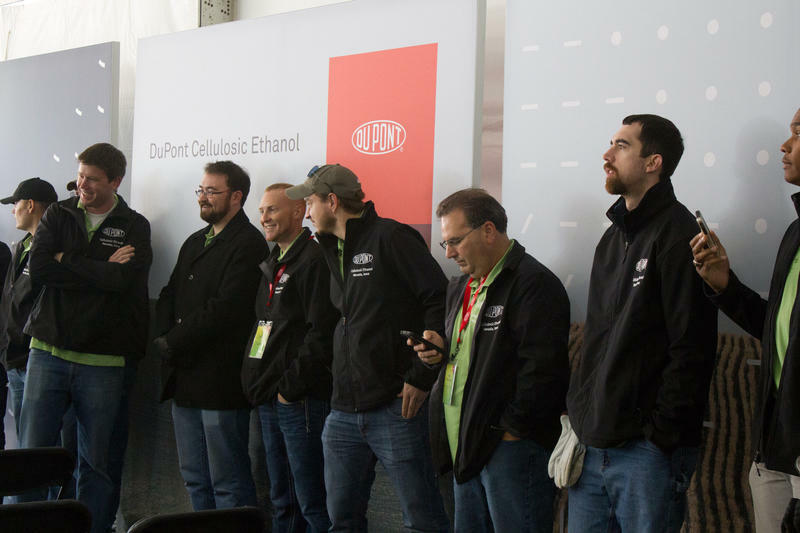 One of the company's executives, Ron Prestage, says they will continue to seek an Iowa location. He says all four counties surrounding Cerro Gordo (where Mason City is located) have expressed an interest. 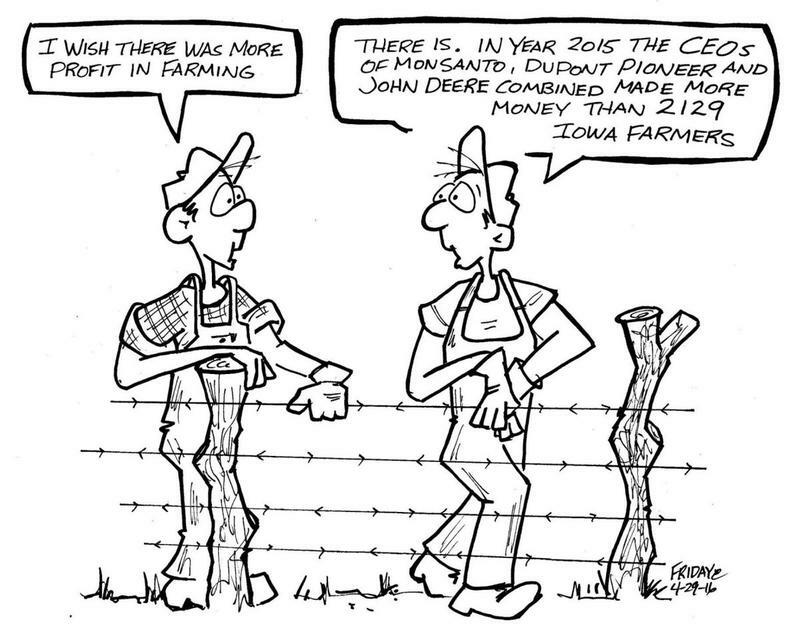 Rick Friday had been drawing editorial cartoons for Farm News for more than two decades, that was until last week when a cartoon criticizing Monsanto, Dupont Pioneer and John Deere cost him his job. He drew a farmer lamenting to another farmer the downturn in the commodity prices. Friday was as surprised as anyone that the cartoon then cost him his job, especially given that it had gone though the editor of the paper before being printed.